We spent the weekend in London. We went primarily to catch the Toronto Raptors (which was brilliant! one of the best things I’ve ever been to!) but we had some time for other things. We swung by the Tate Modern and did the London Eye. We wandered a lot. Its infrastructure, a scratch-for-every-itch, bubbling populace makes it very similar to New York but I think the charm of London is the narrow, winding streets and the Alice-in-Wonderland feel to wandering around. I had time to knit and finished Celaeno last night when we got home. I haven’t had a chance to block it out yet. 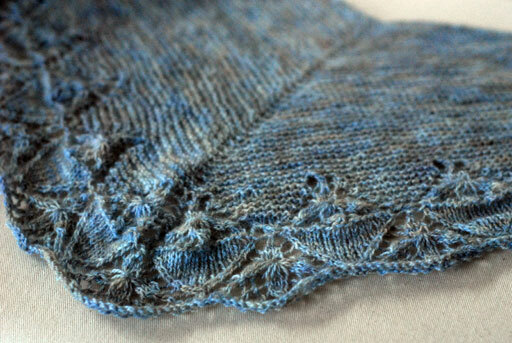 There’s something I really like about unblocked lace. 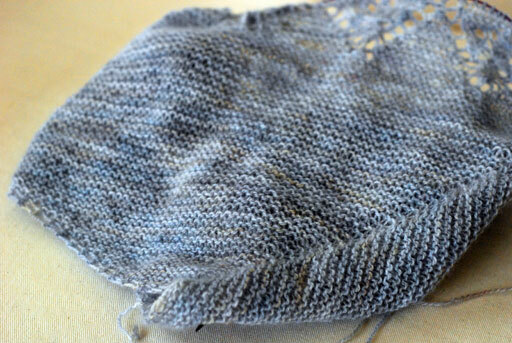 I ran out of yarn two rows from the end but I don’t think it really affected the end of the lace pattern very much. 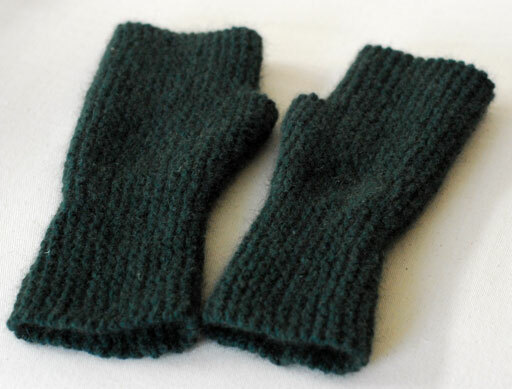 I also finished up a pair of garter mitts for my dad. The pattern is Ysolda’s and the yarn is possum/merino that my friend Heidi sent me from New Zealand. I already knit Dad a beanie from this yarn but had enough left over to make these. They are extremely warm! 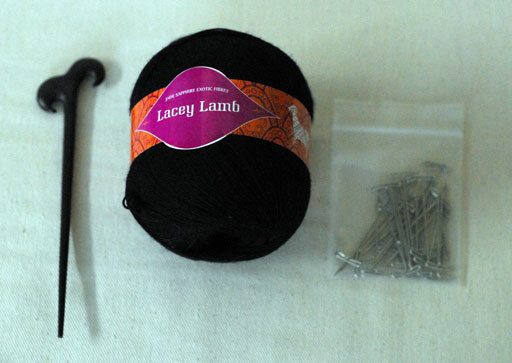 The shawl pin is a funny purpley-brown (I thought it was just a normal brown but the light was dim). The yarn is a whopping 825 yards of extra fine lambswool in dark navy. The packet is full of T-pins for blocking and I’ll be using them later for my Celaeno! It was a super trip and I’d like to go back again sometime. My thanks, of course, to Alb for bringing me to see the Raptors. True to form, we lost both games! Thanks everyone for your response on my last post. The concert in Mary Immaculate, Limerick, went extremely well, as did our violin duo concert in St. Pat’s, Drumcondra, last week. Things were a bit mental for a while as I juggled work, concerts, rehearsals, my regular lesson and then extra teaching from Vanbrugh Quartet at the weekend. I ploughed on and went with it but this week has been a come-down. Apart from my regular work commitments, I have nothing else on so there has been a lot of this…. …and not much else. This is Graystone from Veera’s Book of Gray. 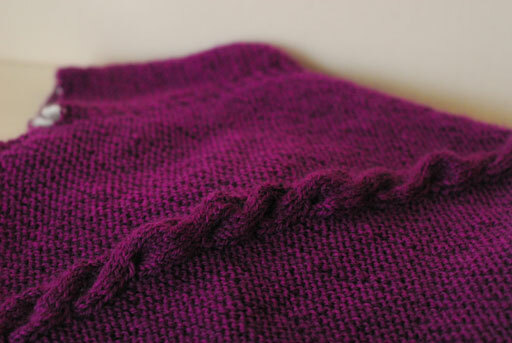 The yarn I bought ages ago – nearly two years at this stage, I think – for Ysolda’s Vine Yoke Cardigan. 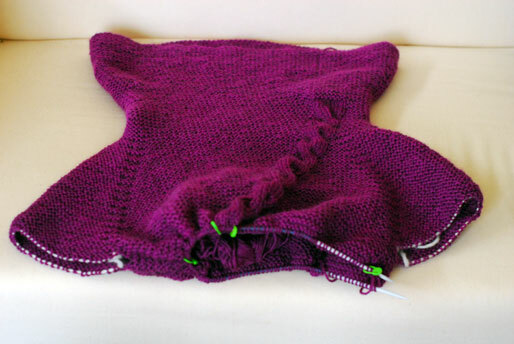 But the more I watched peoples’ projects on Ravelry, the more I was put off knitting it. 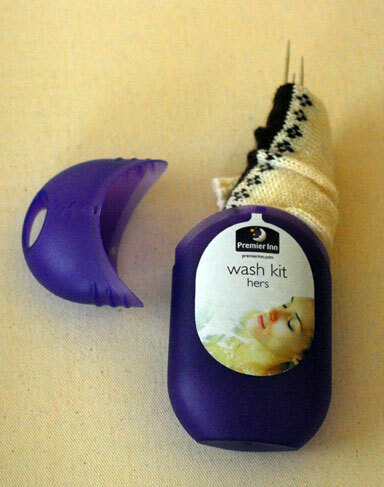 A lot of people had issues getting the yoke to lay flat and most people found it too cropped. I think it’s very cute but maybe best kept for a time when I have more brain space to dedicate to it. I love everything about this so far. 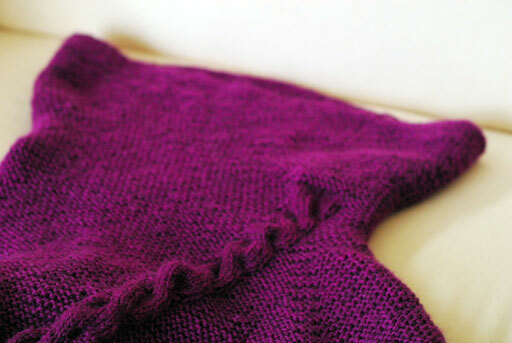 The cowl neck is raised a bit at the back, the cable is assymetrical, the shaping is easy, I love it. 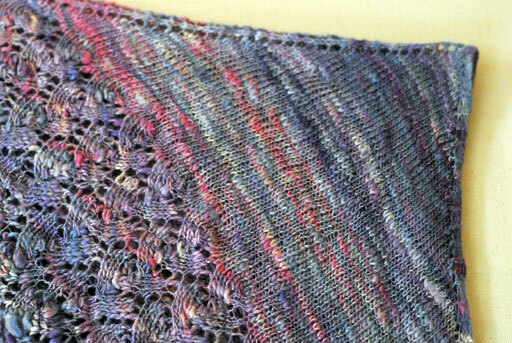 Also on the needles is Celaeno from the 7 Small Shawls booklet I mentioned a few posts ago. I picked up this dove grey cashmere from Hedgehog Fibres via This is Knit. I find the subtle tones of blue, grey and tan very soothing. I’m about halfway through the lace panel. I’m at a point in my knitting where I like lace to be interesting but not too hard. I mostly watch tv when I knit so a chart that’s easy to memorise is all I want. This pattern certainly has that. 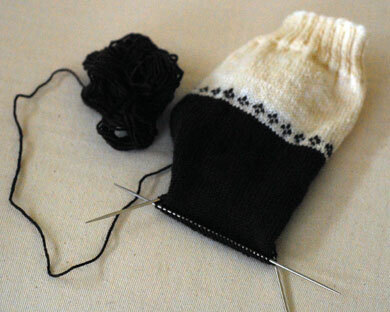 I was cranking out the Splitbark mittens from Stephen West’s Book Two until we got some unseasonal spring weather. It was suddenly too warm for mittens so I put them down. Of course, now it’s back to being cold and I have already started the second one. I finished up Ishbel. I used my own merino-silk handspun singles. I think I had nearly 400m of it! 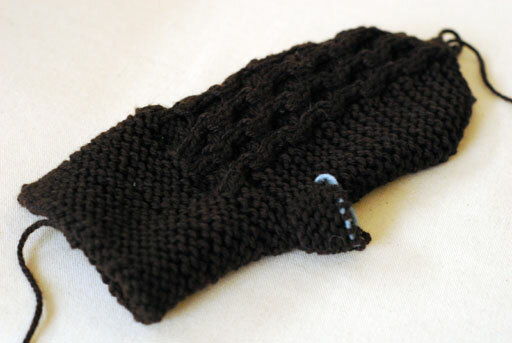 I wasn’t sure how it would knit up but I think it turned out quite nicely. I love the colour progression though I assure you, it is accidental. I’m going to send this to the lady who minded me when I did the competition in Italy last May. I know it’s been a long time coming but better late than never, right? 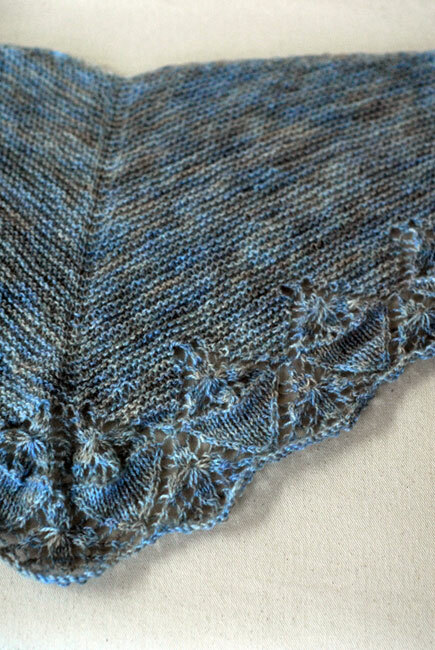 I wanted to make her something extra-special and I can’t think of anything more special than a handspun merino-silk handknit shawl! …And I finally got around to sewing those cushions. My sewing machine is very slowly giving up the ghost. It refuses to sew zips and has decided that winding bobbins is just not the done thing. I had to finish these off by hand but I think they look ok. Frankenstein stitching is in next season, they tell me. I don’t know about you but I find cushions really overpriced. 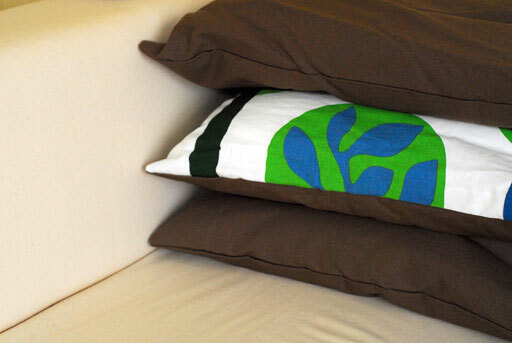 When I went up to Ikea before Christmas, I found these cushion fillers for €2.50 each. Then I got a metre of this and 1.5m of this. I made two brown cushions and two patterned cushions (with brown backs) and still have enough leftovers to make something like a table runner for the coffee table. I got four massive cushions for €25, which is not too shabby at all. Off to THIS for the weekend in London – Toronto Raptors play the New Jersey Nets in the O2 Friday and Saturday nights. I caught the NBA bug from Alb so we couldn’t believe our luck when the team we follow (Raptors) announced these games last August. They’re not the best team in the league but they’re our team and we’re very excited!